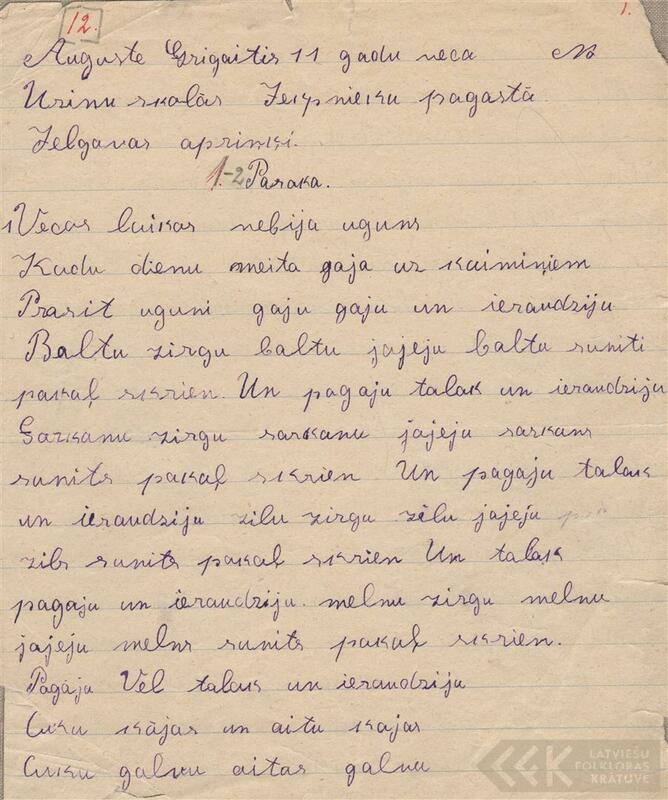 Folklore materials, collected by pupils of Ūziņi Primary School from 1925 to 1933. Additional materials were submitted also in 1953. The collection includes 2697 folklore units, such as folk tales, riddles, folk songs and popular songs, proverbs, beliefs, games, and other genres. Showing 1-20 of 2,368 items. Chross of incubus Drawing 0012-2083 1933 Roberts Brants Lietuvēna krusts. Showing 1-20 of 468 items.